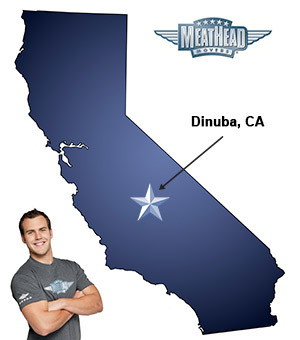 For a trouble-free move to Dinuba, Meathead Movers is the company for you! Our professionally trained student-athlete movers are ready to get you into your new home. If you are moving to or from anywhere in Dinuba, we are the moving company for you! Our professionally trained student-athlete movers and our moving concierge service are here to help you with every stage of your move. Located in Tulare County, Dinuba is a small and welcoming town in Central California. Also known as Raisin City or Raisinland U.S.A., this small agricultural town is full of character. Residents and visitors can also visit the Alta District Museum, which is located within the city’s restored railroad station to learn more about the city’s history. For those looking to move to the area, Meathead Movers is the company for you. Our moving company specializes in local, long-distance, and commercial moves. We also provide reliable packing, storage, on-site relocations, and our distinctive moving concierge service, which connects you with local service providers making your move as seamless as possible. In fact, you can see what your neighbors have to say about us. With our 100% satisfaction guarantee and an A+ rating with the Better Business Bureau, the only thing you have to lose is the stress that comes from moving! So contact us today for a free no-obligation moving quote and to learn how we can help you on your next move! Moving to Dinuba? Here are some helpful resources. The guys work hard and are very pleasant. They got my moving job don very efficiently. I chose your company over the other moving company because your estimate was much more detailed and explained. Your staff, especially Jenny in my video walk through, and the moving guys themselves were always helpful and polite. I also like the way you support students in school and victims of domestic violence. All around a pleasant experience in the chaos of moving! I think the young guys are great! I have worked with you a couple of times now and I have been very satisfied. A positive, work hard attitude is hard to find in workers these days. I am a small business owner, I don't know how you do it, but 99% of the time I would say your guys have that!! The team arrived on time and we went thru the house to show what goes. The got straight to work. When work was done they picked up after them selves. They were very professional. Keven was a great team leader. It was nice to for them to tell us what school and what sport they were in. I asked them that question I hope it was ok I would recommend Meathead Movers to others. The care they took to pack my items both were very polite and profusional. Double checked all there work and asked if everything was packed so nothing was left un packed. They made sure, there after work area was picked up. When the work was done we walked around to make sure it was. I will tell others about your company. I am happy that my daughter found you for me..
All the guys were professional and courteous. They were very organized and got the job done in a cheerful manner. Very hard workers!